We have had a great season and couldn’t have done it without the hard work of our team. They work tirelessly helping customers with their every need to create spectacular events across Yorkshire – it’s not just about putting up and taking down the tents. So before we pack away the marquees for the winter, we thought we would introduce you to the manpower behind Marston Moor Marquees. We are a family run company, and third from the left is the owner of Marston Moor Marquees, Tim Abbey. Tim, along with his wife, Sam, have owned the business for ten years and every member of the family helps out in some way. Before deciding to start the marquee business, Tim was a dairy farmer but he now is a breeder of South Devon cattle, which he does alongside the marquee company. 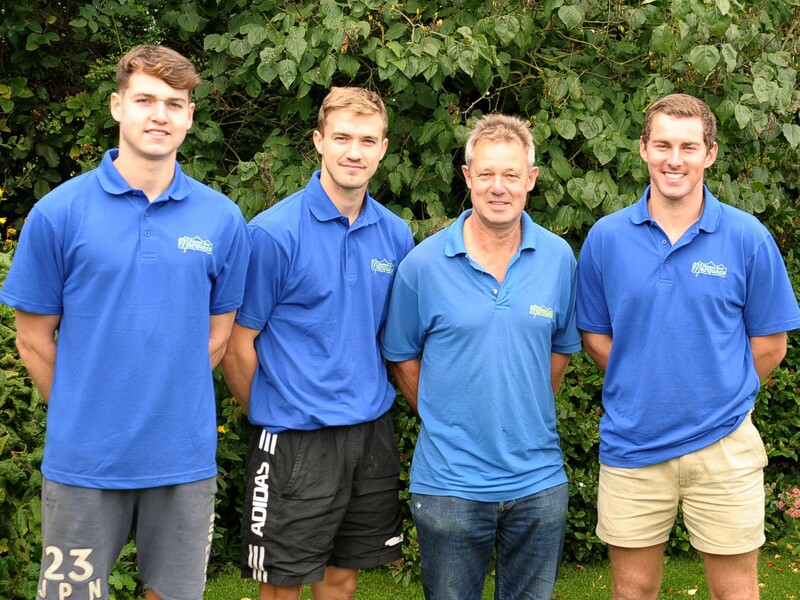 On the far left is Tim’s son, Thomas Abbey, who has just completed a sports diploma at York College. He is now taking a gap year and is hoping to go travelling. Thomas has done two seasons with us now, and Tim loves having his son working alongside him. Second on the left is Steven Barnitt, who lives local to us at Marston Moor. Steven has been working for us for the last four years, which fits in nicely with his education as he is currently studying law. Far right is our international recruit – Tom Reece is from Melbourne, Australia, and he has been in the UK for the last two summers playing cricket for Bilton in Ainsty. He will be going home this Christmas for good which is a real shame as he has been fantastic worker and will be greatly missed by the team. Please keep Martson Moor Marquees in mind for any and all events you are planning. Our marquees may be resting but we are open for business all year round. Please get in touch if you have any enquiries and to book.